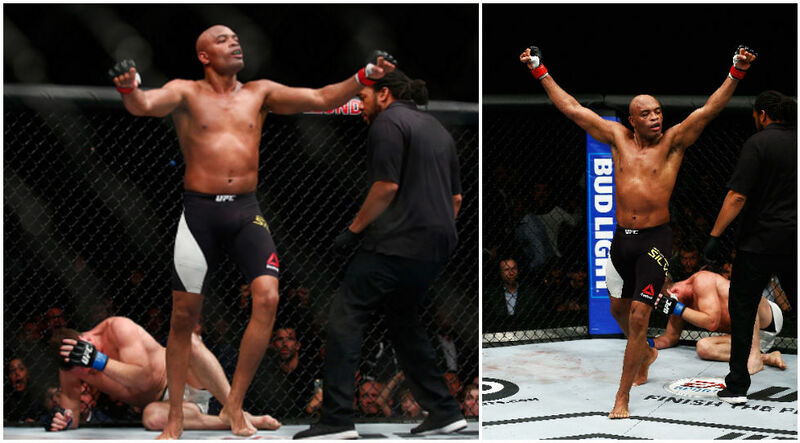 In the Main Event of UFC Fightnight 84, controversy arose as former UFC middleweight champion Anderson ‘The Spider’ Silva returned to action to take on UFC staple, Michael ‘The Count’ Bisping. Bisping was clearly the dominant fighter in the first two rounds, but the tables turned in Silva’s favour in the third round when Silva landed a flying knee to Bisping’s face, knocking him out momentarily — just as the round ended by the sound of the horn. The initial controversy was that Bisping had lost his mouthpiece, and looked to the referee expecting a time out. Silva didn’t seem to care and took advantage of his distracted opponent. The ref never stopped the fight, but at the same time, the legal knockout occurred at the end of the round. Bisping came back for 2 more rounds, albeit in rough shape. Even though he was dazed and suffered a shattered nose and heavy bleeding, he held his ground till the end, where the judges awarded the victory to him with a unanimous 48-47 scorecard.